Gigi Becali, arguably European football’s most sociopathic figure, has been owner of Steaua Bucharest since 2003, and in jail since 2013. He is known as: businessman, MEP, chairman, owner, agent, and Warrior of the Light (self-titled). Whatever you want to call him, he is undisputedly one of the most colorful characters in Romania. George Becali was born in the village Zagnat on June 25, 1958, in an Aromanian family. 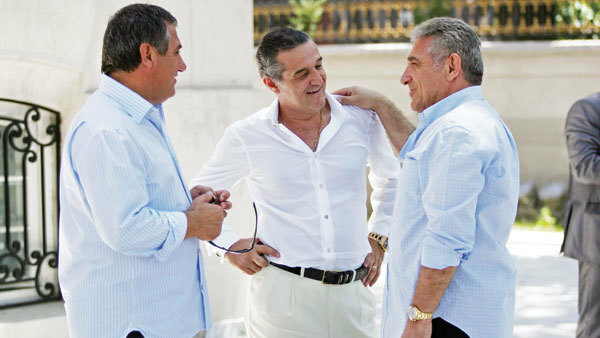 Becali’s father managed to make a fortune as a shepherd. Becali initially worked as a locksmith. After the events in 1989 – when Romania became a Republic – he started a wheeler-dealer business by importing jeans, cigarettes and soap from Turkey, with inherited money and a loan from the Maradona of the Carpathians, Gheorghe Hagi. Most of his wealth however comes from real estate investments, a business which grew exponentially in that period. He used some of this lovely lucre to invest in Steaua Bucharest, historically Romania’s most important and successful team, on January 23, 2003. After the club had broken strategic links with the Ministry of Defence, Becali’s influence, campaigning and [potentially libellous content removed but you get the idea] won him 51% of the 79 votes, enough to assume control. 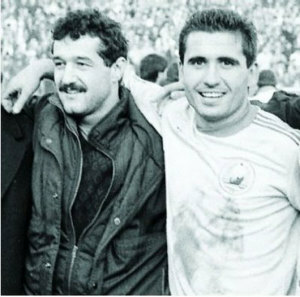 Mocked and insulted many former legends of the terraces, including Gheorghe Hagi and Marius Lăcatuş. In 2004, Becali took over The New Generation Party. He was a candidate for the presidential elections twice, in 2004 and 2009. In 2009 he became a MEP, but ended behind bars under preventive arrest for kidnapping several individuals whom he suspected to have stolen his car. 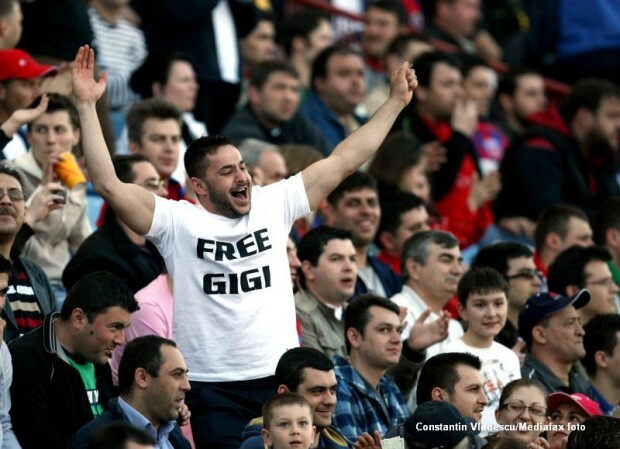 After many notable campaigns demanding his release, notably #FREEGIGI, Becali was released from prison after 14 days, but it wouldn’t be the last time he would see the inside of the Poarta Alba penitentiary. On February 11, 2013, Gigi Becali was sentenced by the Supreme Court to three years in prison suspended for seizing those who stole the limo. He hadn’t forgotten. On May 20, 2013, Becali was sentenced again, this time to two years in prison for complicity in misuse of authority (the Ministry of Defence were involved in the shenanigans as well). Having racked up another conviction on top of this he is now serving a combined total of 3 and a half years in prison. 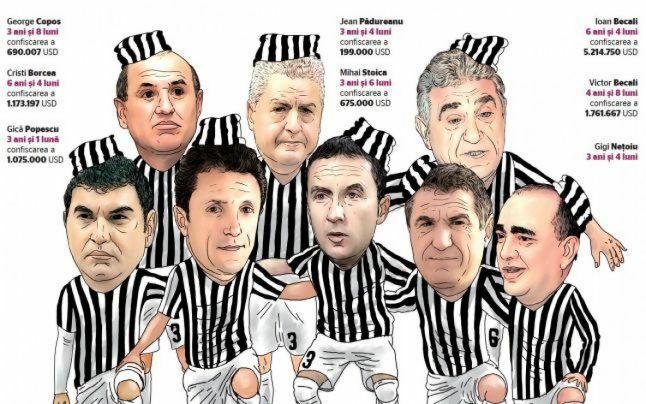 10 months later, his cousins – well known FIFA Agents – Ioan “Giovanni” Becali and Victor Becali were also sentenced: 6 years and 4 months for Giovanni and 4 years and 8 months for Victor. They were charged in the case of dodgy football transfers alongside with another 6 important figures from Romanian football. Although his fortune was estimated at €725 million in the 2008 Forbes Top 500, it fell substantially due to the recession and falling prices of the real estate. He also transferred a big chunk to his daughter in 2012, in the range of €140-300 million. Becali is a big philanthropist at heart, and is a healthy benefactor of the church, having given €30 million to mainly Orthodox churches. Gigi also built over 300 houses for the flood victims of three villages: Vadu Rosca, Rast and Arbore. Gigi’s great mates with Ramon Calderon, the former president of Real Madrid. Here they looking like Tony Montana and Sosa in the alternate ending to Scarface before their Champions League meeting in 2006. 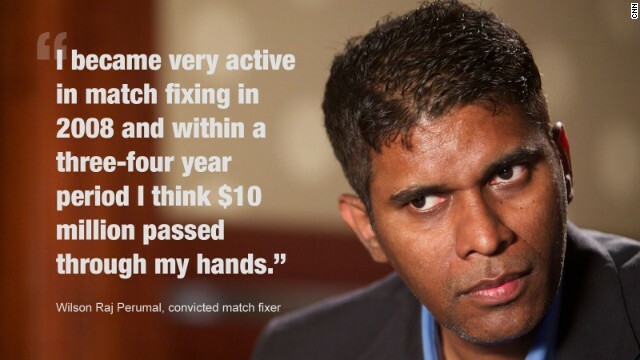 Insulted more than 100 people on TV; mainly politicians, journalists and people also involved in football. Dubbed himself Warrior of the Light, after reading Paulo Coelho’s novel of the same name. 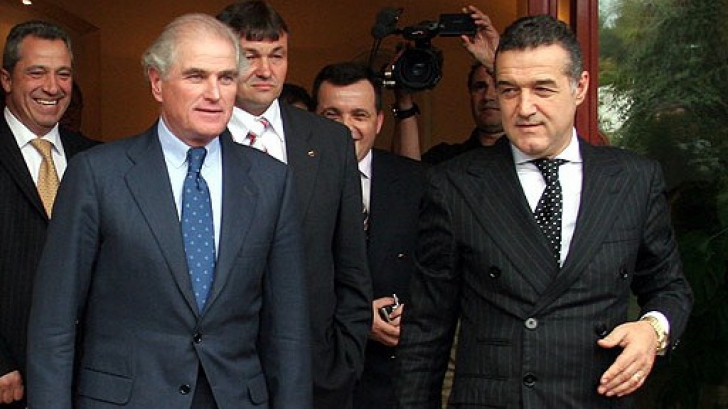 In 2005, Gigi Becali bought a €500.000 new Maybach. Soon after, he was broadcast live on Romanian TV trying to repair some damage he made to it using a couple of crowbars. Canceled the season tickets for the South Lawn’s supporters in 2009 for criticizing and insulting him. Holds the Romanian national record for television screen time. 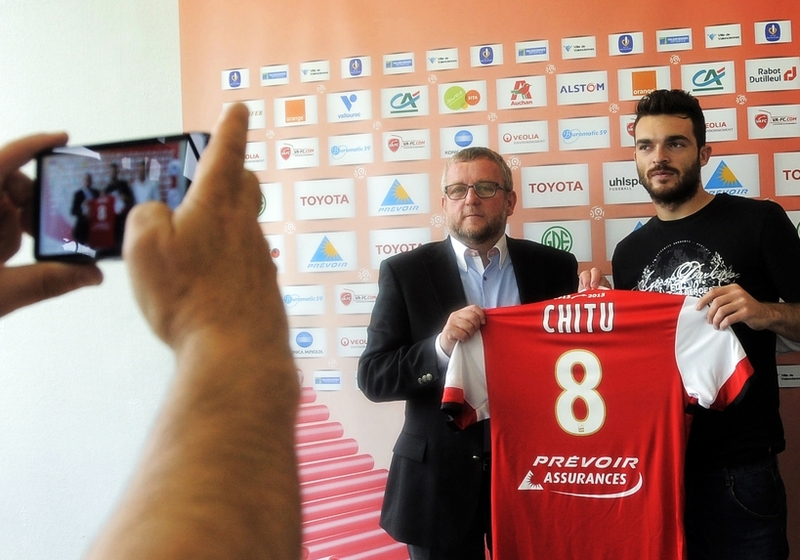 Another court appearance was after he offered €1.7 milion to Universitatea to beat league leaders and cross city rivals CFR Cluj in the last match of the season. Steaua needed a CFR loss to win the league and qualify directly for the Champions League Group Stages, which would have earned Gigi much more than the backhanded bonus payments. He’s a BIG fan of theatrically ripping newspapers in front of the cameras when they write something bad about him. Mourinho wanted to visit him in prison, but Becali refused, as he said he didn’t want the great man to see him in such dire straits. 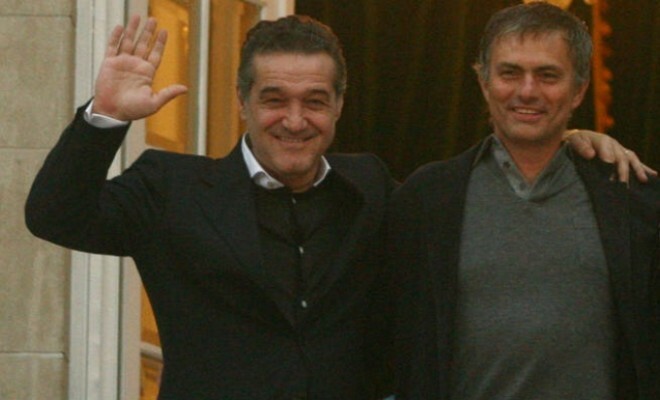 The two met for the first time at Becali’s home in 2008. Your site provided us with useful information to work on. You’ve done a formidable activity and our whole neighborhood will likely be thankful to you. I believe this will remain a piece of history regardless of what will happen next.